FHA One-Time Close construction loans are available in 2019 at higher FHA loan limits than in 2018. This is good news for anyone who wants a low-down payment construction loan that features only ONE application and closing date. 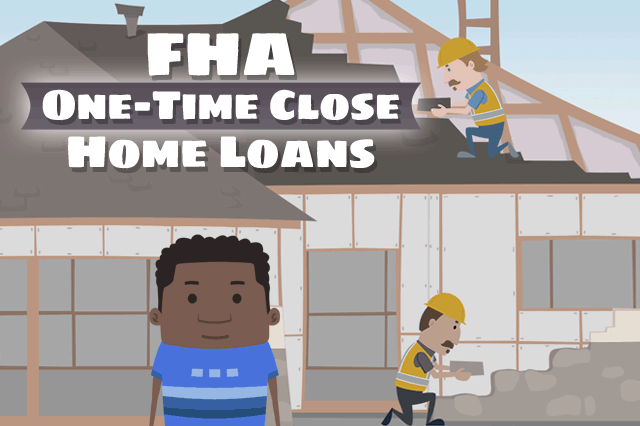 January 11, 2019 - FHA One-Time Close construction loans are available in 2019 at higher FHA loan limits than in 2018. This is good news for anyone who wants a low-down payment construction loan that features only ONE application and closing date. Compare that to “traditional” construction loans that require two applications and closing dates; one for the construction phase of the loan and the other for the mortgage itself. The risk of being denied for one loan or the other is something that gives some borrowers a dose of worry; FHA One-Time Close construction mortgages eliminate this problem altogether. What do borrowers need to know about FHA One-Time Close loans in the new year? The borrower comfortable with taking extra time on the project to get the specific home they want is well-suited for an FHA One-Time Close loan. Borrowers who are in a hurry to close the deal and move into their new home may wish to consider an FHA Mortgage loan to buy an existing construction property. Borrowers will work with contractors, designers, and even home energy efficiency experts where appropriate to get into their dream home. This is not necessarily the case when purchasing existing construction property, but the experience can be rewarding, educational, and result in you getting exactly the kind of property you want. For the second year in a row, FHA loan limits have moved higher in the new year. This means added borrowing power for those who want a home built to suit; don’t discount the idea of having your new home built for you. Doing so may be more affordable for you to consider than you realize. Talk to a lender about your financial needs and your goals for your new home to see what type of FHA mortgage is right for you.